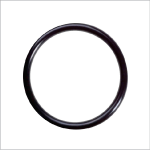 From Aflas® to perfluoroelastomer to Teflon O-Rings to UltraSlip® O-Ring lubricant, O-Rings.com by Boyd Corporation has a broad range of specialty compounds, each designed to suit your particular O-Ring need. Additionally, most of these specialty compounds can be customized to meet your unique specifications. The color, hardness, temperature range and elastomer’s FDA compliance can be altered to meet your special requirements. Click on an elastomer below to learn more! Ready to purchase in a quantity of 100 or less? Visit Boyd’s Amazon store to buy now.